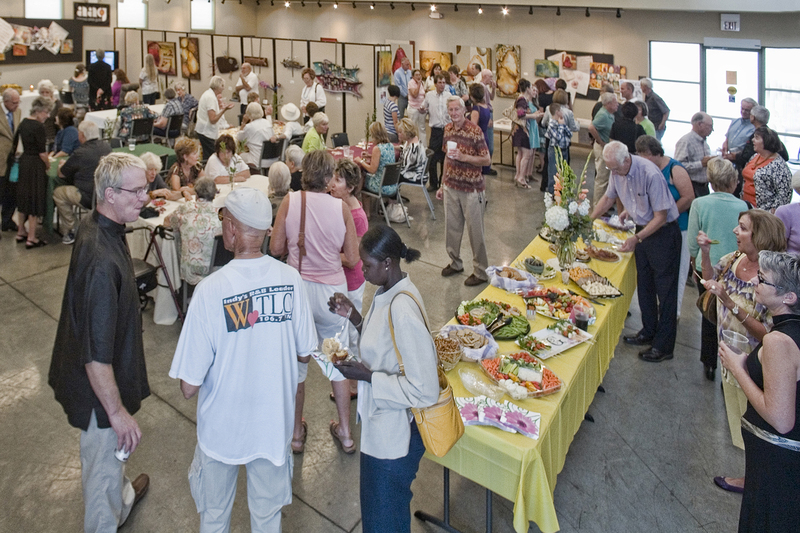 The Arizona Artists Guild would like its Casa to be your organization’s Casa for seminars, art demonstrations, workshops, art exhibits or general meetings. Completed Nov. 1 2009, the building is located at 18411 N. 7th Ave. in Phoenix, AZ 85023. Mailing address is P.O. Box 41534, Phoenix, AZ 85080. We are centrally located in a quiet area between 3 main freeways; the I-17 to the west, the 101 (north loop) and the 51 Parkway to the east. We have ample parking, good lighting, inside and outside, and plenty of eateries and stores just a mile south on Bell Rd. and a couple of small but good places just across the street. We have clean ADA approved rest rooms and WiFi on site. Click on Calendar of Events to see what’s going on in our building at any time of the year and to see if your desired dates are available. Email info@artizonaartistsguild.net to schedule a date for your event. The main room has plenty of space for up to 25 students with most of them having an individual table. This room can also seat up to 100 people for meetings. It has gallery and fluorescent lighting and daylight from high windows, an up to date hanging system on two walls as well as movable partitions sufficient to hang approximately 100 paintings. There are four clean-up sinks on the west wall. In addition, there is also an adjacent “Small Studio” suitable for small groups of up to 8-10 artists or for small meetings. Drop rod hanging system for hanging artwork on the walls. Also, plan to visit the “Art Supply Exchange”- a small store where we accept donated art supplies and sell them at very low prices. There is a small kitchen with a refrigerator, microwave and coffeemaker. It has a serving counter open to the big room for light refreshments. We are happy to place flyers of your event on display and bulletin board if your event is open to other art community members. For an additional charge, we can provide a microphone system, a digital projector and screen. Hello, What are the prices for having your space for workshops, classes, shows etc.